April 22, 2003 – American Life was released on CD/LP/Cassette/Limited..
Madonna will release 4 new songs before dropping her long-awaited Madame X .. BREAKING NEWS – Madonna and Maluma will perform Medellín live at the .. In just a little more than 24 hours, Madonna and Maluma duet, Medellín, rea..
As announced on the press release, the Double CD edition of Madonna’s..
Madonna had a late night dinner at her beloved restaurant Casa Cruz in Lond..
Portuguese Minister of Internal Administration had a secret meeting with Ma.. BREAKING NEWS – Madonna will go to Brazil at the end of October. Acco..
Madonna explained the reason why she has moved to Lisbon. Madonna described.. Contacted by Correio da Manhã, Portuguese model Kevin Sampaio confirmed tha..
Madonna's first single is Living For Love. 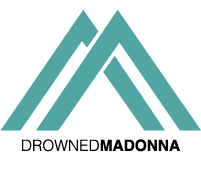 Copyright © 2001-2016 DrownedMadonna.com | All rights reserved.